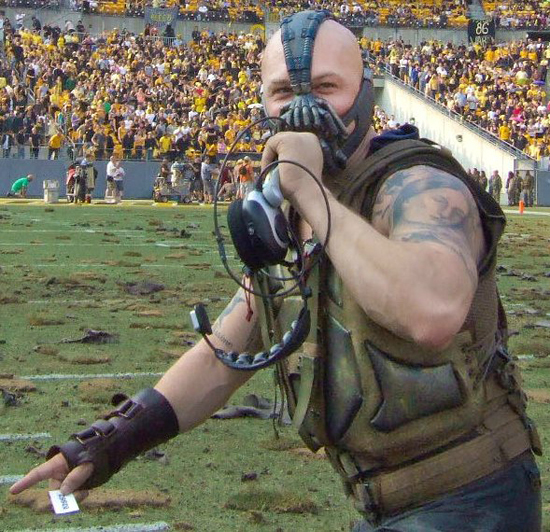 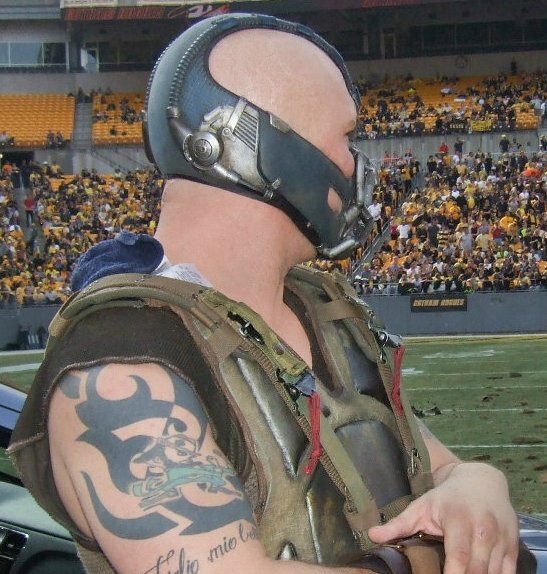 Some more set images from Christopher Nolan's The Dark Knight Rises have emerged online, this time around we get an even closer look [if thats possible] at Tom Hardy as Bane while shooting took place last week in Heinz field in Pittsburgh. 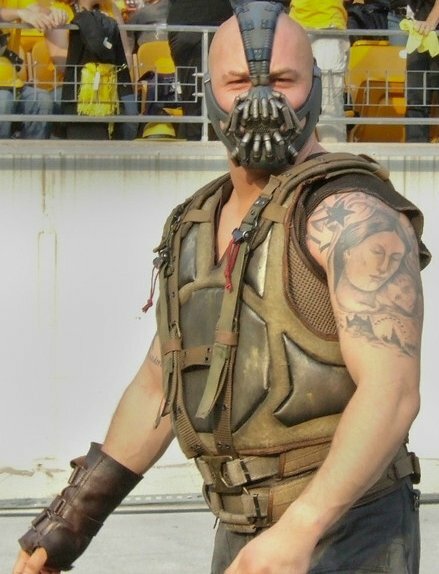 The Dark Knight Rises hits theaters July 20th 2012 and stars Christian Bale as Bruce Wayne/Batman, Michael Caine as Alfred Pennyworth, Gary Oldman as Jim Gordon, Tom Hardy as Bane, Anne Hathaway as Selina Kyle/Catwoman, Joseph Gordon-Levitt as John Blake & Marion Cotillard as Miranda Tate. Hit the jump to check out the images. 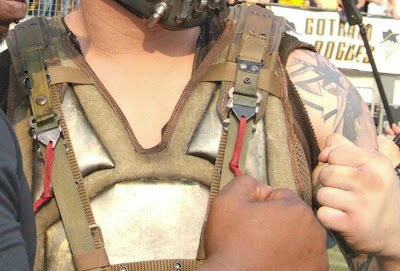 The images come via Be in a Movie [via CBM]. 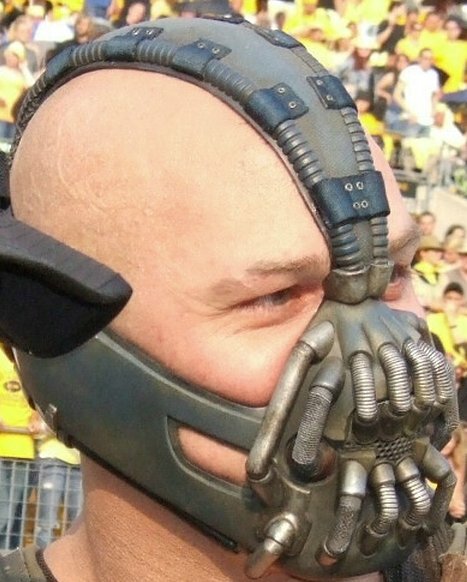 I'm reading: Super Close Images of Tom Hardy as BANE in 'THE DARK KNIGHT RISES'Tweet this!